The Agency is kicking off at Blackhorse Workshop! 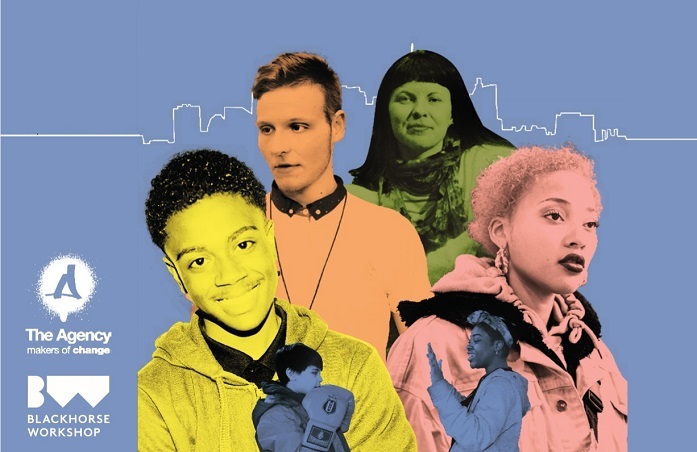 We’re looking for 15-25 year olds from Higham Hill and Walthamstow with ideas that need to happen. Do you have what it takes to turn your passion into a project? By joining The Agency you’ll get £30 per week and the professional training, support, funding and advice you need to make your project benefit your local community. It can be anything from boxing workshops to a music festival, natural beauty products to community football. You’ll pitch your idea to an expert panel to win £2,000, and you’ll make a positive change, lead a unique business, and gain the skills you need to achieve. See some of the past Agency projects on Instagram. We’re now accepting applications from individuals or groups! If you’d like to join The Agency, send an email to lucy@blackhorseworkshop.co.uk and we’ll reply with more info. Any questions? Email lucy@blackhorseworkshop.co.uk or give us a call on 0208 531 1612, we’re happy to provide support with the application process. The Agency UK is a Battersea Arts Centre and Contact programme devised in partnership with People’s Palace Projects. Current partners include: Blackhorse Workshop, National Theatre Wales and Fablab Belfast. Funded by the National Lottery through the Big Lottery Fund and London Borough of Culture – a Mayor of London initiative, with support from City of London Corporation’s charity, City Bridge Trust and Airbnb. The Agency is a programme originally conceived by Marcus Faustini in Rio de Janeiro where it is delivered by Agência de Redes para a Juventude. The UK pilot (2013 – 15) was funded by the Calouste Gulbenkian Foundation.